Donna R. McLaughlin, 75, of Independence Twp., passed away on Wednesday April 17, 2019, in her home. She was born on August 2, 1943 the daughter of the late Edward and Josephine Williamson. She was a preschool teacher at Crestmont Alliance Church and drove a school bus for Hopewell School District for many years. She was a wonderful baker, and loved baking pies. She is survived by her 4 children: Dave & Tresa McLaughlin, Albany, OH; Dawn & Stephen Ingram, Independence Twp. ; Dan & Christine McLaughlin, Independence Twp. ; and Deb Shaffer, Independence Twp. ; 5 grandchildren: Frank (Ashley) Campbell, Amber McLaughlin, Tori & Noah Ingram, and Timmy Shaffer; 4 great grandchildren: Frankie, Sidney & Lilyan Campbell and Autumn Sorrell; and 2 siblings: Barbara Mitchell, Hopewell Twp. ; and Joseph (Marsha) Williamson, FL. Friends will be received on Friday, April 19, 2019 from 4-8pm in the Huntsman Funeral Home and Cremation Services of Aliquippa, where a Funeral Service will be held on Saturday at 10:00 AM. 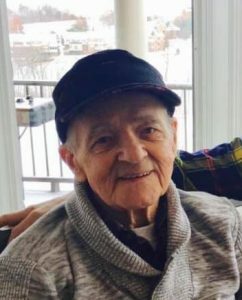 Frank Louis Reda, 94, of Rochester, passed away on April 7, 2019. He was born in Monaca, on April 1, 1925, a son of the late Antonio and Angelina (Zigarelli) Reda. 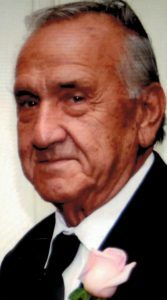 He is survived by his loving wife of 66 years, Evelyn (Palakovich) Reda; three sons, Frank Reda Jr., of Fla., Ronald Reda of Monaca and Randall (Christina) Reda, of Fla.; six grandchildren, Frank (Kelly) Reda III, Danny Reda (Kim), Christopher Reda, Michael Reda, Nicholas Reda, Gianna Reda and two great-grandchildren, Kenley and Phoenix Reda. He is also survived by Jean Reda, Mary Jo Reda; nieces and nephews, Louis and Tony Reda, David, Joseph and Mark Palakovich, Kelly Reda, Cathy Kaluza, Cindy Karazsia, and Yvonne Berg. Treasurer of the OP&CM Local 56; a 40-year member of the Rochester Area Joint Sewer Authority; member and trustee for the Beaver County Labor Council; member of the Knights of Columbus; 50-year member of the American Legion Post 580 and St. Cecilia’s Parish. Family and friends will be received on Tuesday from 4 to 8 p.m. in the HUNTSMAN FUNERAL HOME & CREMATION SERVICES OF ROCHESTER, www.huntsmanfuneralhomes.com, 502 Adams St. A Mass of Christian burial will be celebrated on Wednesday at 10 a.m. in St. Cecilia Roman Catholic Parish, 632 Virginia Ave., followed by interment at St. Cecilia Cemetery where Veteran Honors will be provided by the Vietnam Veterans of America Chapter 862 Southwestern, Pa.
Pamela L. Seward, 63, of Center Twp., passed away on Saturday April 6, 2019 in Good Samaritan Hospice at Heritage Valley Beaver. She was born on October 27, 1955 in Sewickley, the daughter of the late Lloyd & Lillian Grimes. She worked for Christian Missionary Alliance Church Headquarters in Nyack, NY, Equibank in Aliquippa, and Lloyd’s The Running Store in Beaver. She had a love for crafting and giving her creations to friends and family. She enjoyed walking, traveling and sewing. She also volunteered with Ms. Wright’s Kindergarten classes in Rochester. 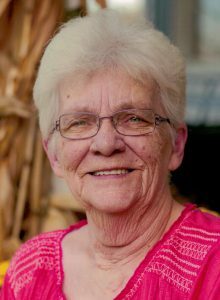 She was a member of the Christian and Missionary Alliance Church, and recently attended Pathway in Chippewa. 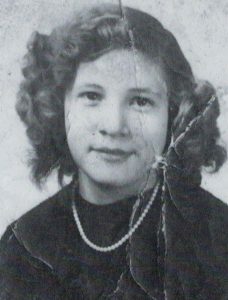 She is survived by her husband; Daniel Seward; a daughter: Ashton and Daniel Black, Oakdale; 4 siblings: Richard & Linda Grimes, SC; Terry & Dot Grimes, SC; Connie & James Harley, New Sewickley Twp. ; and Lloyd & Karen Grimes, SC; and numerous nieces and nephews. She is also survived by her two beloved dogs, Cole and Kylo. Friends will be received on Tuesday from 2~4 & 6~8 in the Huntsman Funeral Home and Cremation Services of Aliquippa where a Funeral Service will be held on Wednesday at 11:00 AM. Memorial contributions may be made to St. Jude Hospital 501 St Jude Place Memphis, TN 38105 or the Pathway Church “Give Joy” program 239 Braun Rd, Beaver Falls, PA 15010. 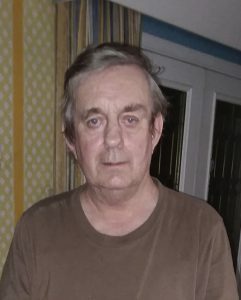 Christopher Burton Moore, 69, of Beaver, formerly of Oak Hill, Shepton Mallet, Somerset, England passed away on Friday March 29, 2019 in his home. He was born on February 6, 1950 in Oak Hill, England the son of the late Herbert James and Mona (Burton) Moore. He was an engineer who served his apprenticeship in the British Ministry of Defense ordinance factory. He participated in the construction of the Hinkley Point nuclear station near Bridgwater, England. He was the production supervisor for 12 years at Somerset County Enterprises, a workshop providing employment and skills training to the disabled. He came to the United States in 2006 and worked for 12 years as a toolmaker at Bolland Machine in Chippewa Township. He was a lover of flowers, especially orchids. He enjoyed studying: John Harrison and sea clocks; Isaac Newton’s theory of Light and Motion; the Titanic; the Hatfields and the McCoys; and Buford Pusser. He was also very interested in Westerns and all things cowboy related as well as Babe Ruth and the New York Yankees. For seven years, he volunteered his services as gardener and maintenance man for Holy Rosary Convent in Bridgwater, Somerset, England. Chris was a member of the Orchid Society of Western Pennsylvania. 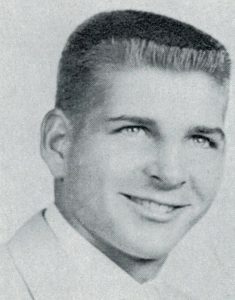 He is survived by his wife: Pamela Jean Horter-Moore, Beaver: and residing in England; an aunt Glenys Moore Lane: a special cousin Sarah Lane Thomas; numerous cousins and beloved friends. Friends will be received on Thursday from 4-8pm in the Huntsman Funeral Home and Cremation Services of Rochester where a funeral service will be held on Friday at 11am.